Southampton Management School at the University of Southampton is one of the UK’s leading business schools, with outstanding academic standards and an impressive achievements in preparing tomorrow’s leaders meet the challenges of a competitive business world. At Southampton Management School study 3,500 international students from 130 countries. The University offers a friendly and welcoming multicultural environment where to learn and live, inspiring new generations of business thinkers. Business administration degrees are designed to challenge your thinking and inspire you to develop the advanced knowledge and analytical skills you will need to succeed in a competitive environment. State-of-the-art research and innovation programmes directed by academics at University of Southampton are recognised across the business world and the academic community. Researchers at Southampton Management School continually work with international, national and regional organisations as part of their studies and use their professional and academic expertise to make their teaching relevant and up-to-the-minute. Why choose Southampton Management School for a Business Administration degree? 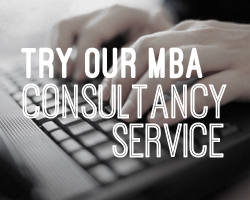 The Southampton MBA programme, available as full-time and part-time study, is accredited by the Association of MBAs (AMBA), which represents the highest standard of postgraduate business administration education. The University of Southampton is part of the Russell Group of universities renowned worldwide for its excellence in teaching and research. It is consistently ranked in the top 15 universities in the UK and is ranked 86th worldwide, according to the last QS World University Rankings. Graduates from the Southampton Master of Business Administration programme are respected worldwide and are now in senior positions across a wide range of industries. The MBA programmes give experienced managers the skills and knowledge they need to stay competitive in a volatile business environment. The University of Southampton supports businesses in both the public and private sectors. Academics and researchers work alongside many companies, helping them benefit from the latest business administration practices. Southampton Management School academics work alongside major organisations across the world, ensuring that the degree programmes are relevant and up-to-date. The entire academic body at the University of Southampton has been supporting a variety of links in a teaching, research or advisory capacity with organisations overseas. The university has continuously developed its network of partners across the world, through partnerships and strategic affiliations with top business schools on all continents. There are numerous opportunities for UK students to study abroad to gain unique insight into the global marketplace. Southampton Management School’s international reputation for academic excellence helps to continuously strengthen the links with other leading universities throughout the world. Find out how two students experienced The Southampton MBA and what they have to say about the teaching and program, the network and other participants and living in Southampton in the UK.